This is worth adding to your toolbox. Over the years, I’ve had occasion to need to sum two channels into one. Sometimes it was because I needed to sum stereo signals from a playback device. A rare time or two, I needed a cheater way to get an extra input into a full channel strip – 17 inputs when I only had 16 on the board – Ah the joys of one-off jobs. The problem with the “cheap” solutions was when the inputs were at different signal levels. 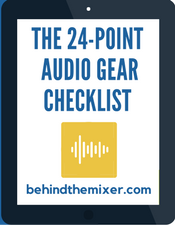 It meant I had to find two inputs close to similar levels, when summing non-stereo inputs such as two microphones. 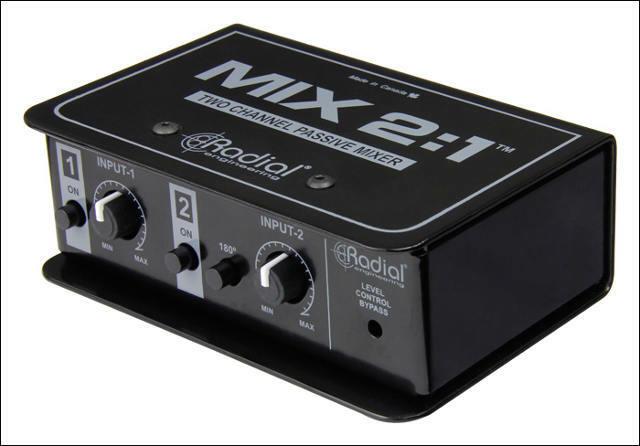 If only I had the MIX 2:1 by Radial. And a level control bypass. The release date is within the next month or two with a price running around $130. If you’ve ever been in one of those “I wish I had a ….” moments, this might have been helpful.